Start breathing easier with Acupuncture and Naturopathic Medicine. Rhinitis is inflammation or irritation affecting the mucous membranes inside the nose. Rhinitis has symptoms such as nasal congestion, sinus pain, runny nose, headache, and post-nasal drip. Acupuncture and naturopathic medicine have been shown to be effective treatments for preventing and reducing rhinitis symptoms. At Starting Point, our allergy specialist, Dr. Ellie commonly helps people find the root cause of why they are having allergies. We offer wellness consults, detailed treatment plan and recommendations to get you on the right track to finding relief. 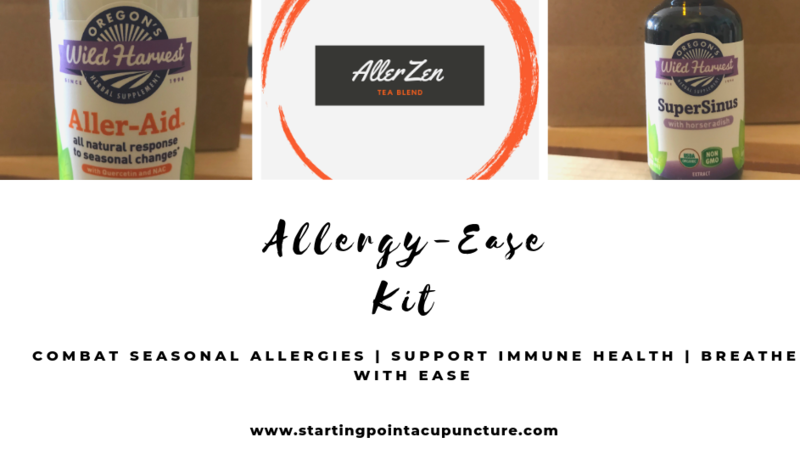 Treatments may include allergy injections, nutrition coaching, acupuncture, and prescribed supplements and allergy-ease tea blends.